… not me. I made some Minecraft fan-art and entered them as entries for a J!NX calendar content back in 2013. They didn't win but I like to keep them around for those who would like to use them as wallpapers. If you'd like to download the full size, ridiculously large versions of the wallpapers you can download them below. 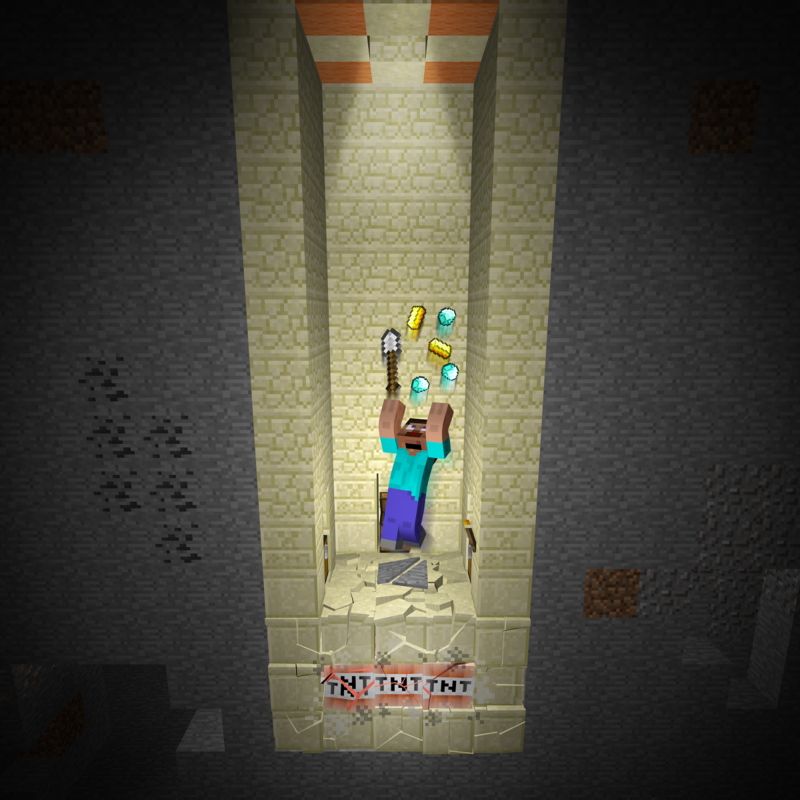 My first entry for the contest features Steve inside the secret room of a Desert Temple, where he has accidentally triggered a pressure plate wired to TNT beneath his feet. I've never stumbled onto a Desert Temple in the game before but they do exist. 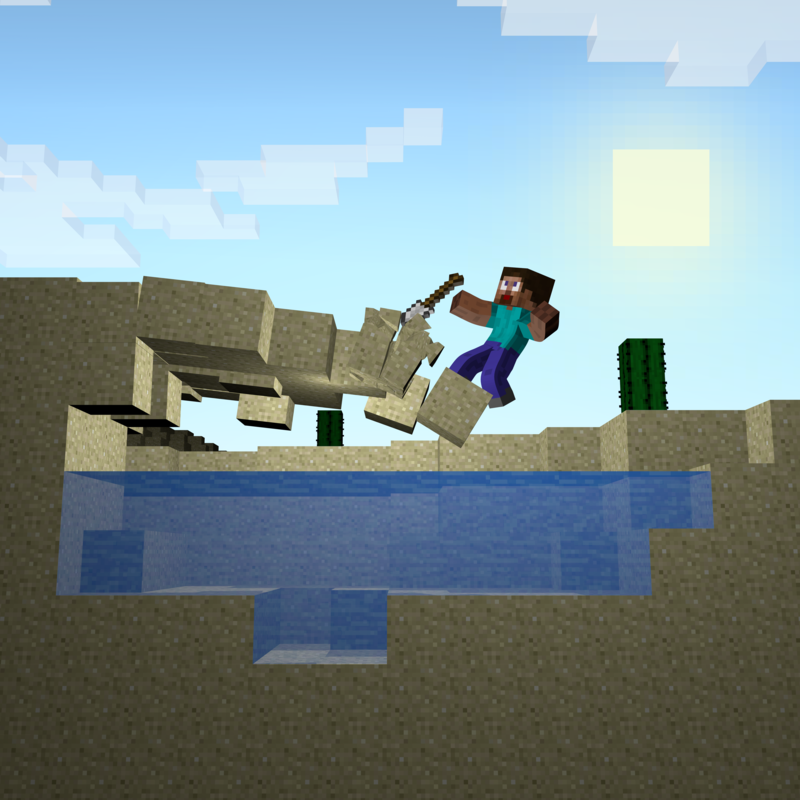 My second entry features Steve digging into an overhang of sand in the desert because that was a thing in Minecraft (may still be, I haven't played in a while), despite the fact that sand blocks are supposed to fall. As soon as the shovel hits the sand, the entire overhang collapses.